A powerful dream symbol is Water. it is also one of the most common. The meaning of your dream depends on the body of water you had in your dreams. Water is all around us in our daily lives and essential to life. Since water is mysterious, dangerous, and destructive, you should take care when it is seen. The world of water is foreign to us because it is world we cannot live in. Water can be nurturing but it can all be destructive. Generally speaking, water tends to represent the unconscious, a powerful and large part of who we are that we are not aware of and do not recognize as “us.” Water is often associated with emotions and the expression of emotions. Emotions are often unconscious for us and we express emotions through tears. Water can symbolize motherhood because water is the source of all life. 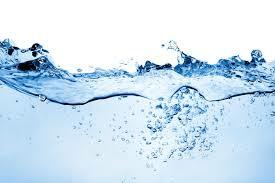 Water can also relate to spirituality and spiritual/religious beliefs. The cleanliness of the water: is the water clean and pure or is it polluted? The depth of water: is the water shallow or deep? The quality of water: is the water clear, cloudy, or dark? The motion of the water: is the water still? Rough? Flowing smoothly? Choppy? Is it peaceful or threatening? The quantity of water: is the amount of water appropriate to the setting? Is there a drought or lack of water? Is there too much water flooding the dream? Oceans and large bodies of water can represent the state of your emotions and limitlessness of the unconscious and spirit. Oceans are often associated with tranquility, meditation, and retreat. This symbol can have both negative and positive meanings. On one hand, the ocean may represent something larger than ourselves that we respect, are in awe of, or appreciate, something we go with the flow with as we sail through our life’s journey. On the other hand, oceans can be overwhelming and rough. We are no match for the ocean and are unable to control it. Your movement in the dreams can help interpret them. Because roads are similar to rivers they often represent your life’s journey and your emotional, psychological, and spiritual state that is either supporting your journey or hindering your progress. What direction are you moving in your dream? Is it a positive or negative movement. Raging or muddy rivers often reflect emotional turmoil. Clear and calm rivers often reflect inner peace, balance, and harmony, a person who is not over-controlling or under-controlling, and positive feelings of joy and happiness in general. Crossing a river may represent overcoming an obstacle or moving from one stage to another. Dreaming of Waterfalls often relate to a great release of emotion, rejuvenation, and renewal of spirit. Waterfalls can also have sexual connotations for people. If the waterfall was negative, it could relate to feelings of overwhelm (if the dreamer was at the bottom of the waterfall for instance) or fears of “taking the plunge” or falling/losing control (if the dreamer was falling off of a waterfall). Pools often relate to relaxation and enjoyment associated with summer, spending time with family or friends, and vacation. Pools can often have deeper meanings. Since they are manmade, they can represent the compartment we have built to hold our emotions. Seeing a pool may represent your need to get in touch with and gain a deeper knowledge and understanding of these feelings. An empty pool may represent feeling numb, drained, and without emotions. Although not always, many individuals with substance abuse issues report dreaming of empty pools. Perhaps escaping emotions and coming down from a high leave the dreamer feeling empty and void of all emotion. Ponds are often associated with tranquility, quiet time, the need to sit quietly with oneself and reflect, and being emotionally calm in general. Although pools contain emotion since there is no outlet, they are natural bodies of water and often represent the quiet, tucked-away emotions and unconscious self that has been present all along but not yet fully explored. Ponds typically contain a lot of life. It may be beneficial to explore what is contained in the pond. Are these plants or animals natural to the pond? Are these plants or animals thriving or dying? The qualities of the life surrounding the pond may give you further insight into your current emotional state. A faucet often represents the dreamer’s ability to control the expression of his/her feelings. If you dreamed of a faucet, do you find you are able to turn your emotions on and off easily? Dreaming of a faucet couldd mean you cannot control could mean you are attempting to over-control your emotions and are feeling overwhelmed. Your feelings cannot be completely contained and will gush through whatever barriers you have put up. Dreaming of water that is too hot could relate to “hot” emotions beyond your control such as anger or passion. Dreaming of water that is too cold could relate to “cold” emotions such as depression, sadness, and difficulty being in touch with your emotions. A leaky faucet could relate to an indicator that something within you needs some maintenance or attention. It could mean your regulation of your emotions is not in is best shape and you need to review where you are putting your energy. If you are focused on the drain, perhaps you are feeling drained by your own decisions or by others. Dreaming of Bathing often relates to self-renewal, cleansing, and shedding the past burdens, stress, and emotional residue from a situation. Seeing a bathtub or shower in a dream may indicate the need to relax, take a break, and take care of emotional and/or spiritual concerns. Bubble baths may indicate a need to pamper yourself and find time to relax. If you associate bubble baths with your youth, the dream may relate to a need to honor your inner child and make time for the little things that make you happy and carefree. If you are a movie buff, a dream of rain may relate to a turning point in your life since it often rains during movies at a significant turning point. Rain dreams can be negative as well as positive. Although it could be a symbol of depression, sadness, and shedding tears, it could also relate to grace from God (or a higher power) and forgiveness. If the dreamer gets wet, it could be a symbol of cleansing and becoming more in touch with a greater purpose and emotions/spiritual thoughts that were always there waiting to be discovered or rediscovered. Lakes are similar to ponds in that they are natural (usually) and can be a place of peace of mind but may also reveal the dreamer’s lack of an emotional outlet. Lakes are larger than ponds and tend not to carry a meaning of solitude the way a pond does. As with all water dreams, the quality of the water and the overall context of the scene is important. A lake may represent the emotional state of the dreamer. Turbulent water tends to mean emotional turmoil. As with all symbols, lakes can refer to something very personal to the dreamer. It is worthwhile to explore your experience with lakes. Perhaps this was a place you would vacation with family when you were younger for instance. In this case, the lake could represent fond childhood memories or a retreat to the security of the past. Streams can represent the flow of emotions for many dreamers. Streams can also represent new and inspiring thoughts or ideas. A stream may indicate to a dreamer that thoughts are spontaneous, free flowing, and not over-thought. Since streams are smaller than rivers, they may give a gentle, slow feel to the dream. In most dreams, the stream ends up relating to a little hint or a spark of something significant that can grow and develop over time for the dreamer. Floods can be damaging. In dreams, they tend to relate to emotional pain, devastation, and feelings of overwhelm. Floods can have many different characteristics within a dream. It is important to explore if this was a biblical-type flood (destroying your world and starting over), a slow flood, or a threat of a flood. Threats of devastation that do not actually materialize in the dream relate to excess worry, fears and negative thinking. This aspect of a dream may be most helpful to the dreamer because what needs to be addressed (negative thinking patterns) is in the dreamer’s control. Some dream dictionaries will tell you a flood relates to pent up sexual desires. This is a narrow interpretation of this significant symbol since sexual feelings are just one of the many feelings that may overwhelm and we may repress or experience in a rush or in which we may feel swept away. In general, feelings need to be expressed and acknowledged in some way. When they are ignored or repressed, tension builds up. Eventually, the feelings overwhelm and flood, forcing the person to express them one way or another. This inner dynamic and struggle between over-controlling and being controlled by the emotions is not a healthy one. Emotional well-being is achieved when we find a balance in which we regulate emotions steadily instead of blocking them or being overtaken by them. Floods tend to tell us we lack harmony between our mind, emotions, body, and spirit. As with most symbols, waves can have both negative and positive meanings. Riding a wave is a positive symbol of effectively managing emotions and difficult challenges in life. This often represents the dreamer’s ability to go with the flow at times and act decisively and deliberately to work with circumstances at hand. This type of flexibility allows the dreamer to surpass obstacles and achieve goals. Creating a wave demonstrates the dreamer’s ability to control emotions, thoughts, and behavior and use creativity and their own personal power/choices to shape the circumstances around them. Tidal waves tsunamis and other disasters tend to relate to emotions that are sweeping away and threatening the dreamer. These emotions may relate to a real situation that is troubling and threatening the individual (financial troubles for example) or the dreamer’s perception of their place in life and negative anticipation of future events. When emotions and past issues are repressed and avoided, they push back until they are acknowledged by the dreamer. Problems often grow and become overwhelming when ignored for too long. Emotions represented within floods and waves are often layered. The wave may have begun with negative and dark emotions that were compounded with the dreamer’s feelings about their feelings and the expression of these feelings. This type of dream may indicate to the dreamer a need to address the anxiety and fears associated with addressing the deeper emotions that have been avoided over time. Since aquifers are an underground layer of water, they often relate to the unconscious and unconscious emotions. Although not visible, these unconscious aspects of self are present and may influence the emotional terrain of the dreamer. Dreams of aquifers can be very positive. Since aquifers are often the source of water levels within other bodies of water, the dreamer may be exploring the core issue or underlying cause of emotional distress. Dams are a rather direct symbol indicating the dreamer is repressing emotions that need to be expressed. This is not natural and cannot be sustained. If it continues over time, the dam eventually will burst because the repression, avoidance, and compartmentalizing of emotions is not an effective way to manage emotions. This method of emotional regulation often backfires for the dreamer. Do you feel like you are being “hosed” in a situation? Hoses and sprinklers can relate to how the dreamer is directing emotion. Where is the dreamer directing his or her emotions? Is it appropriate or displaced? Tears in general relate to positive and healthy expressions of emotion that have allowed the dreamer to grow from a psychological and spiritual standpoint. Depending upon the context, tears can also indicate pain, compassion, and healing. The symbol of a teardrop may relate to the wisdom the dreamer has gained through a tough and emotionally-challenging experience. Sweat can relate to the need for hard work in order to achieve one’s goals. It can also indicate to the dreamer the need to cool down. Sweat may relate to specific emotions such as anxiety, nervousness, and frantic worry. This dream often represents the lowest of the low emotions. Sewage can relate to the emotions that have been discarded and disowned because the dreamer perceived them as vile and shameful. Sewage can also relate to the dreamer having low self-esteem and not valuing their life, their emotions, and/or their spirit. Sewage can show the dreamer that unattended and unexpressed emotions are festering inside and becoming toxic. These are the things you have to consider in order to correctly interpret your water dream.